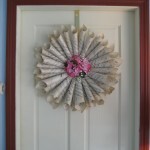 The Crafting Klatch made wreaths to decorate the very large and bland walls at Champion's Fitness Center for REM Craft Fair 2014. (Great for playing tennis walls, but not so great as an ambiance for a first rate juried craft show. 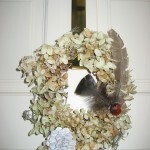 REM Crafting Klatch could not sell the wreaths and compete with venders at the REM Craft Fair who were selling wreaths. So, we brought the wreaths back to REM. 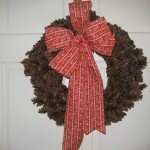 We had so much fun making them that we decided we want to make more...adding greenery wreaths. 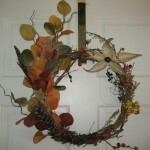 Now we're thinking selling wreaths would be a great way to fund REM projects. For instance, last year we invited Kringleville to move indoors out of the cold. Wait in line had been as long as two and a half hours and people were cold, cold, cold! It worked well. Hundreds of people expressed thankfulness for the new warm waiting area and beautiful and very visible space for meeting Santa. 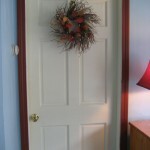 What we'd like to do now is sell our wreaths to help pay for the rental of that space. We will display the wreaths in the windows of the REM Office where people can come to purchase them AND we will sell them from this web site. Each wreath will be photographed and numbered and people can visit our site (we'll send emails and get the word out on Facebook). Buyers can call or email REM, tell us the number of the wreath they'd like to purchase and we'll pull that wreath and hold it for one week. If they pay using PayPal we'll pull it permanently and hold it for their pick-up. Marketing ourselves as "The Wreath People"
Accenting a wreaths for all seasons and categorizing each wreath in one of the seasons. 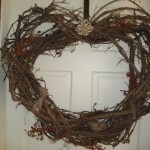 We have shell wreaths for spring and summer, for instance, and greenery for winter. Experiment with making different kinds of bows and other trims, picking the ones we really love and then offering customers choices.